26 I Budd Lake. Continue straight on Route 46W. You will pass through the Naughright / Sandshore traffic light. At the next traffic light there will be a Target store on your right; on your left will be Patriot Plaza. Tum left into the plaza. 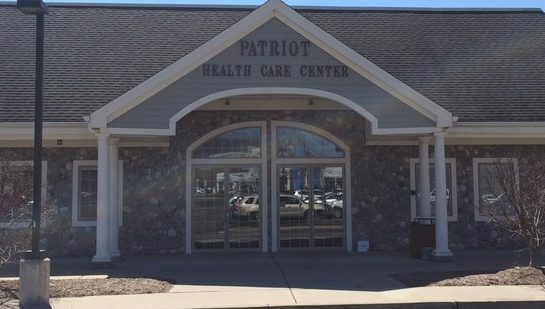 Emmaus Surgical Center is located inside The Patriot Healthcare Center, Suite 104. From the West: Take Route 80E to Exit 19 / Route 517 Hackettstown. At the stop sign, tum left. Follow Route 517 into Hackettstown. At the light, make a left onto Route 46E (Main Street). After second traffic light follow Rt 46E by bearing to the left in between Valley National Bank and Shell Gas Station. Crossing through the light (East Ave), go approx. 300 yards to Patriot Plaza. Make a right into the plaza. Emmaus Surgical Center is located inside The Patriot Healthcare Center, Suite 104. 7:00am-4:00pm at 908.813.9600 or use the form below.